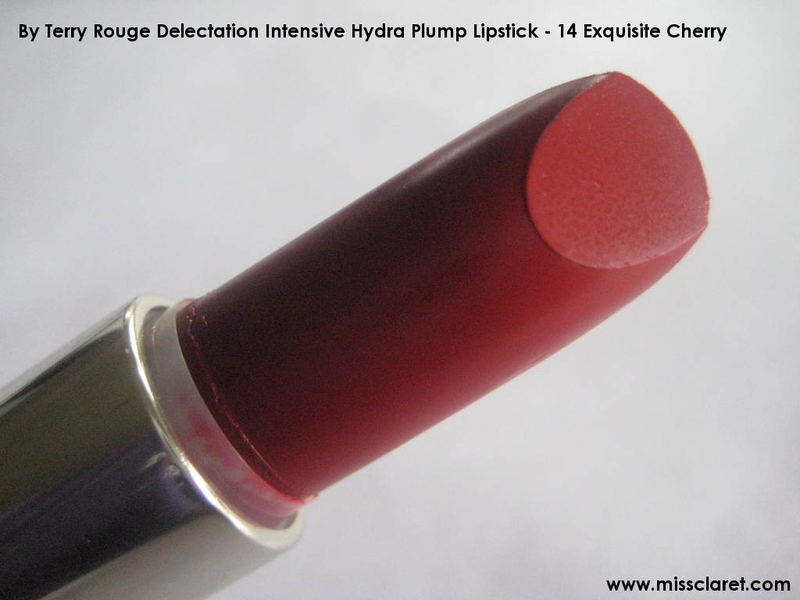 By Terry's Rouge Delectation Intensive Hydra Plump Lipstick in 14 Exquisite Cherry is stunning and I have welcomed it with open arms (or shall I say lips) into my red lipstick collection. 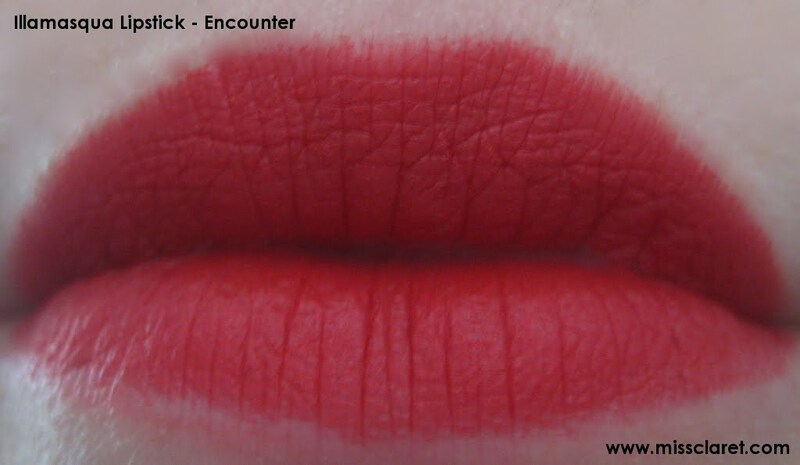 On recommendation from a very beautiful Twitter friend, I bought this lipstick before leaving London and am very glad I did. I have since discovered that this product has been discontinued which is a massive shame.... and now back in Oz...I wish I'd stocked up. Another impressive product from Kiko : Make Up Milano. 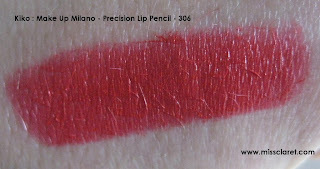 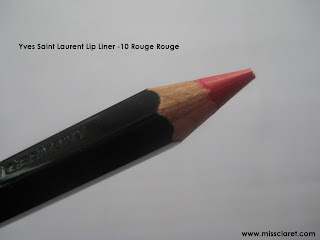 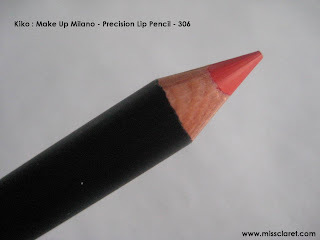 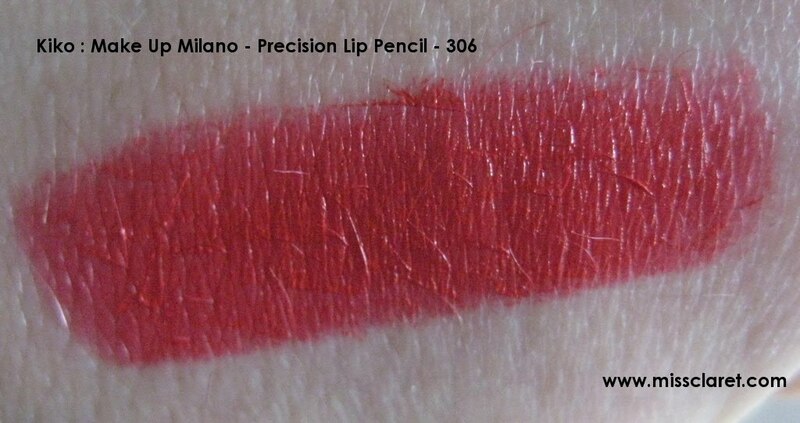 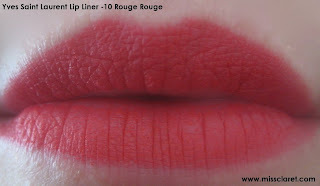 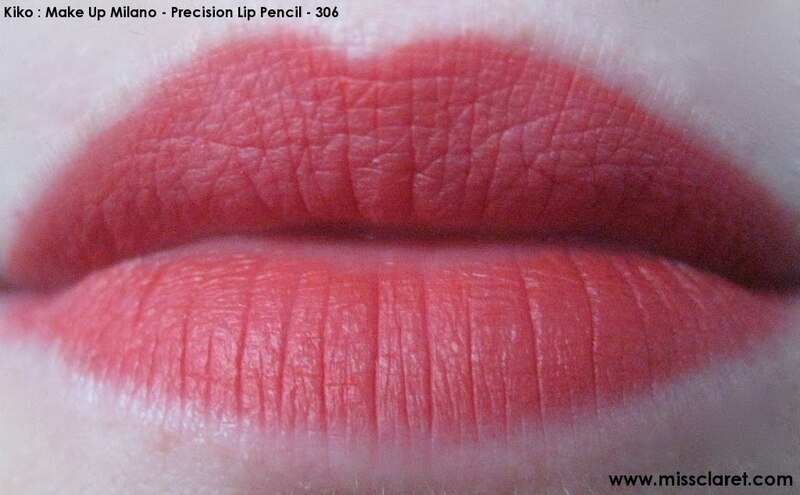 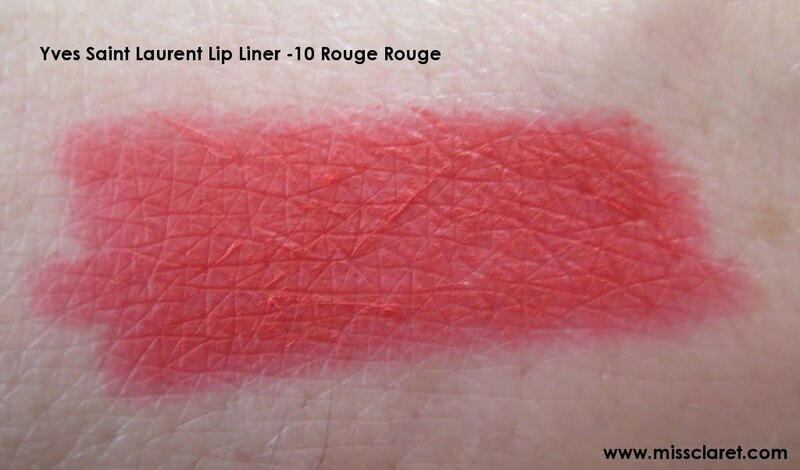 Lip pencil 306 is a vibrant red and the quality is comparable to MAC. 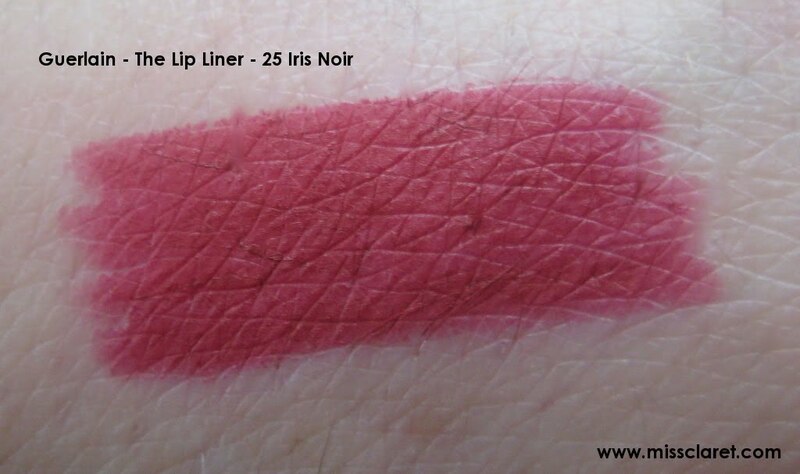 I bought several of these liners and each is equally creamy, long wearing and pigment rich - an absolute bargain for 4 Euros! 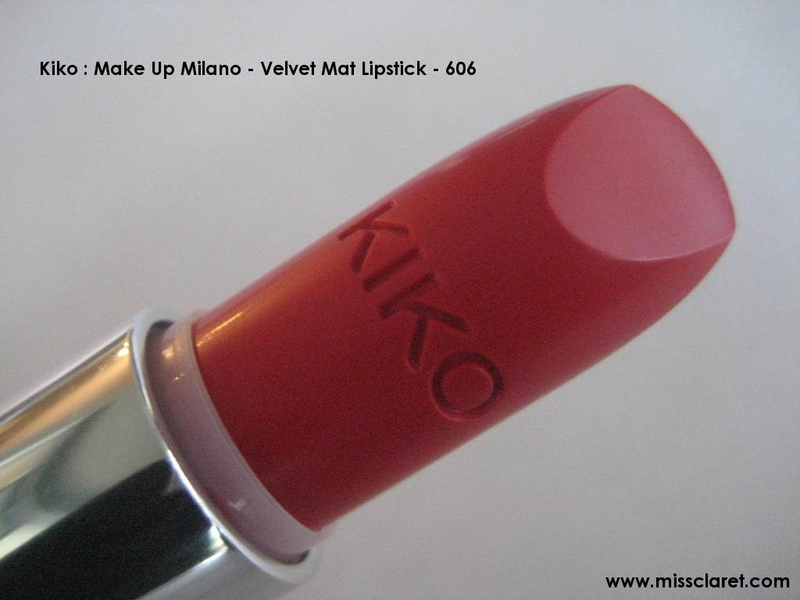 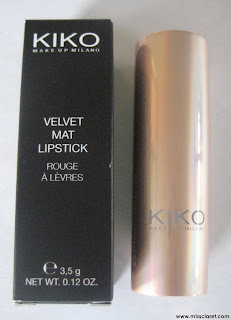 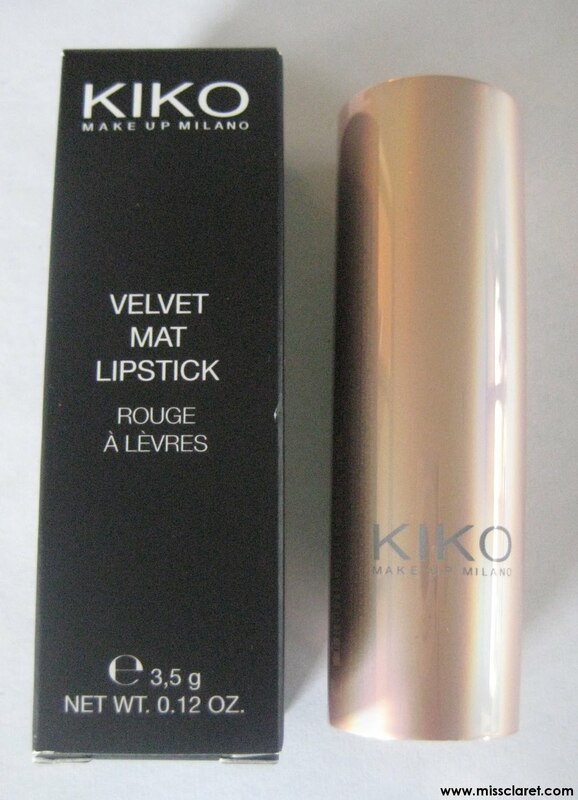 Another fantastic lipstick by Kiko : Make Up Milano, Velvet Mat Lipstick in 606. 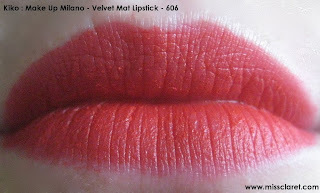 Darker red than 605, but equally beautiful. Great on the lips and excellent value for money. 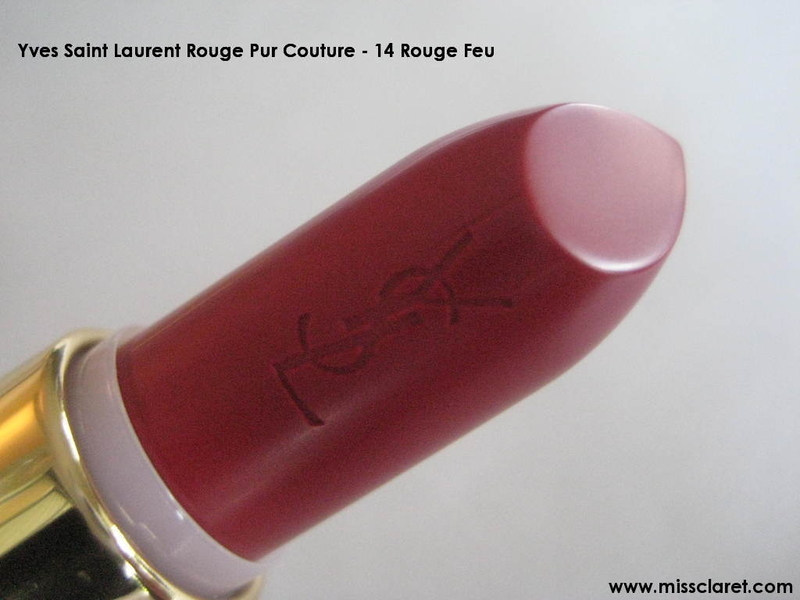 YSL's rouge Couture lipsticks never disappoint. 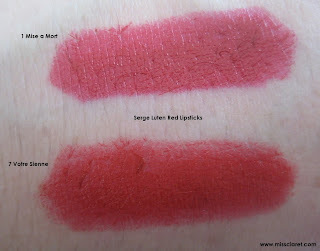 Creamy, moisturising and pigment rich, these rate highly on my all time favourite lipstick list. 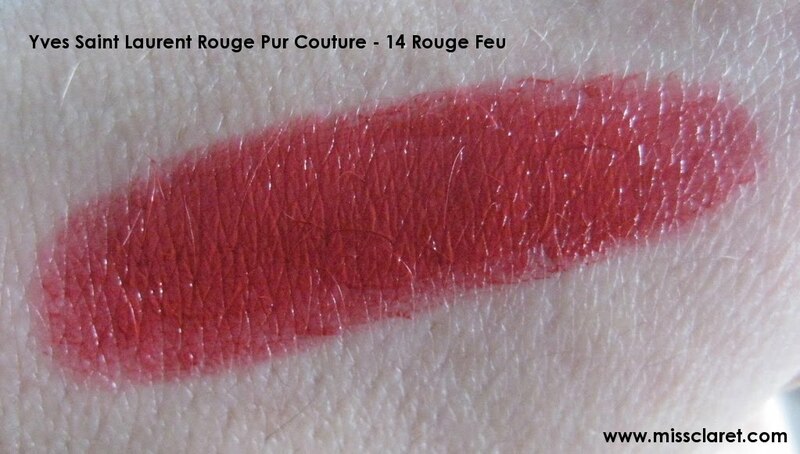 14 Rouge Feu is a vibrant red that would suit a range of skin tones and looks stunning on. 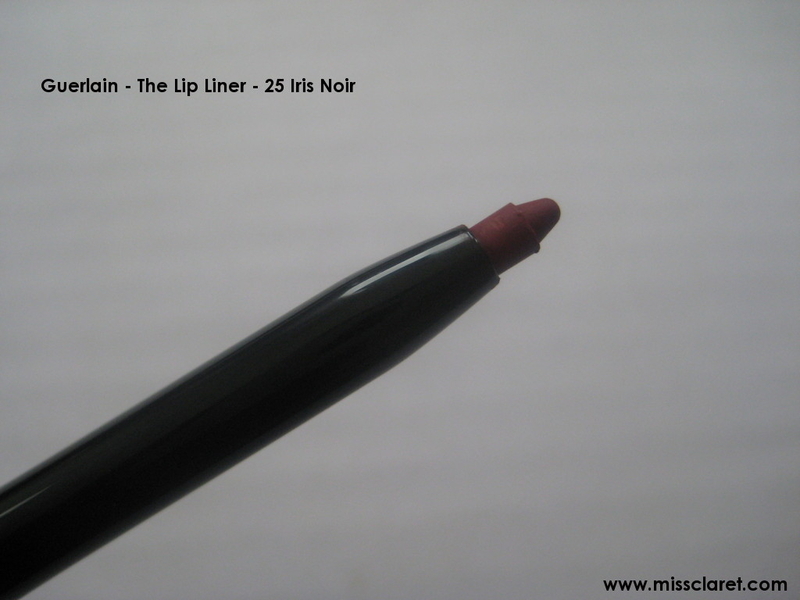 I would however, recommend wearing a lip liner, it helps with longevity and prevents feathering. I wear my trusted clear liner and it works a treat! 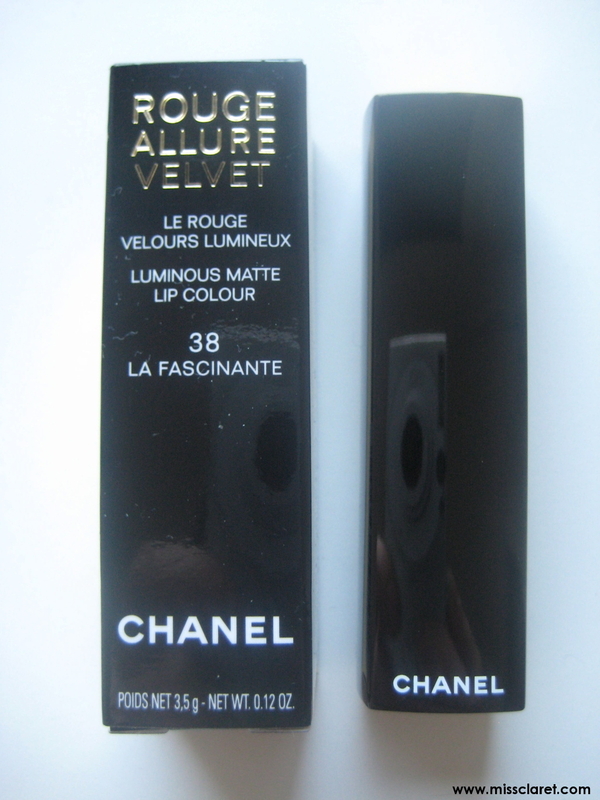 I have been waiting for months for Chanel's Rouge Allure Velvet lip colour and was delighted to see it in store here in Berlin. 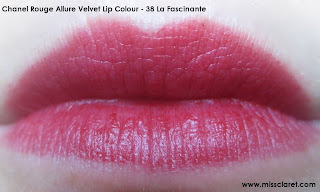 In typical Miss Claret style I went for the most red shade, number 38 - La Fascinante. Not quite as matte as I thought it would be, but a lovely cherry red nonetheless. 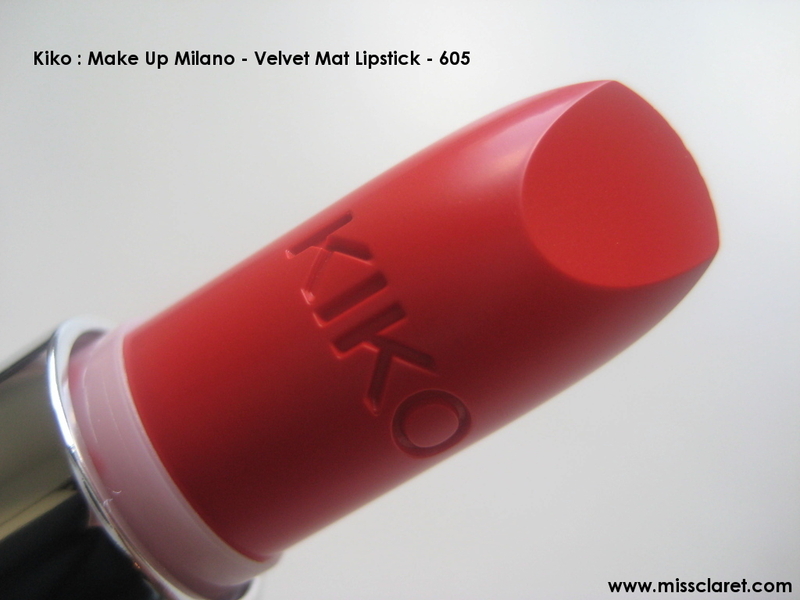 I am currently in Berlin and have just discovered an amazing make up brand called Kiko : Make Up Milano. 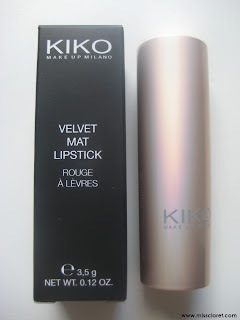 Kiko's products are very reasonably priced and the selection is good - something for everyone! 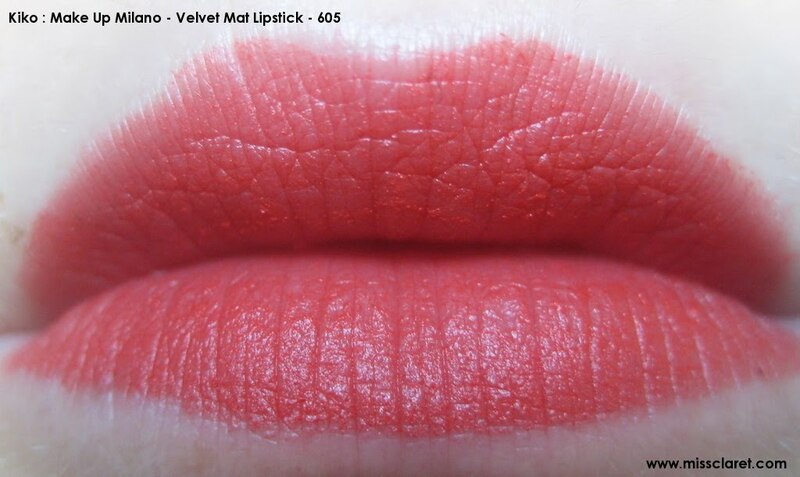 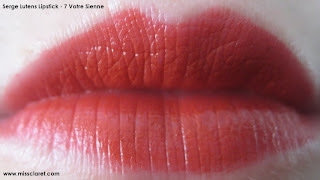 I purchased a velvet mat lipstick in colour 605 (an orange red coral) and was very impressed. The lipstick is made in Italy, is a velvet matte formula, pigment rich and blends like a dream. 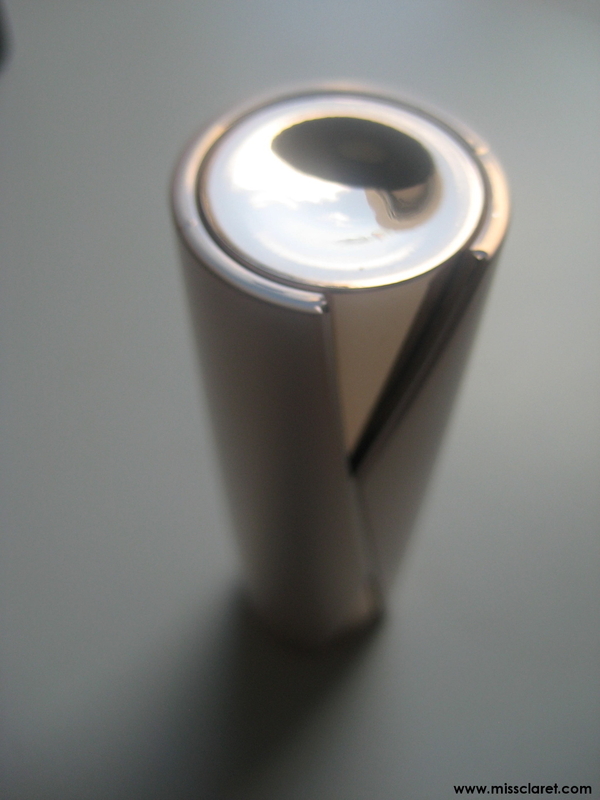 Unlike a lot of matte lipsticks, I found this this particular product to be very moisturising. Kiko have an excellent range of colours and having worn this product the last few days, I will be buying the other reds I saw. 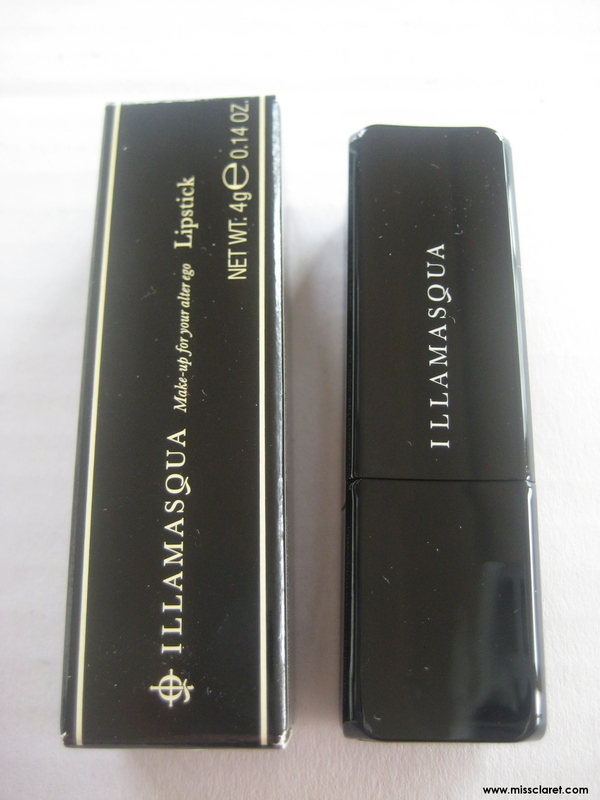 If you are lucky enough to get your hands on this brand, I'd certainly recommend checking it out. 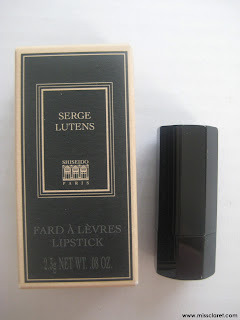 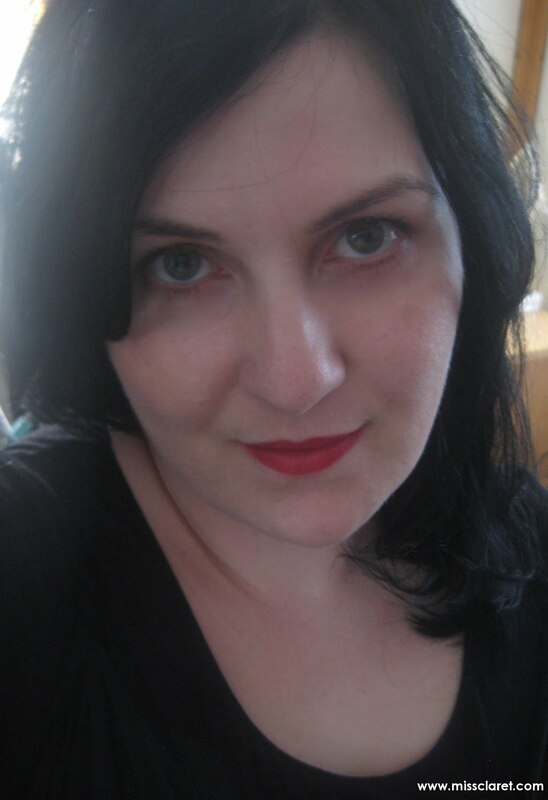 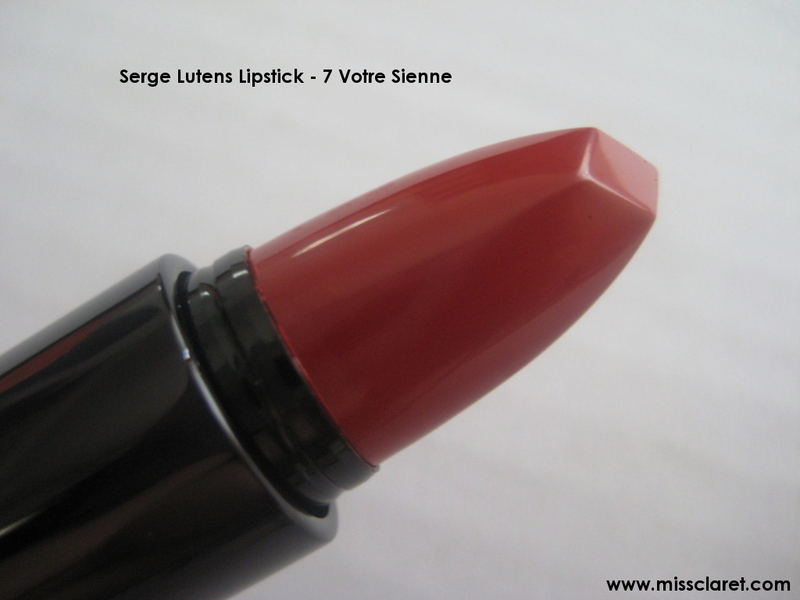 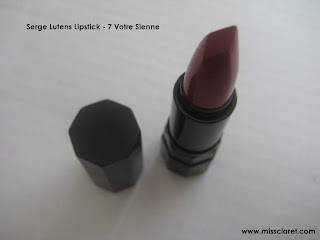 Introducing Serge Luten's lipstick in shade 7 Votre Sienne - my favourite at the moment! 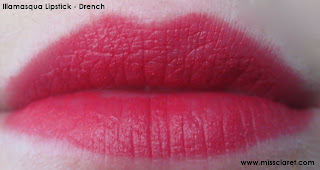 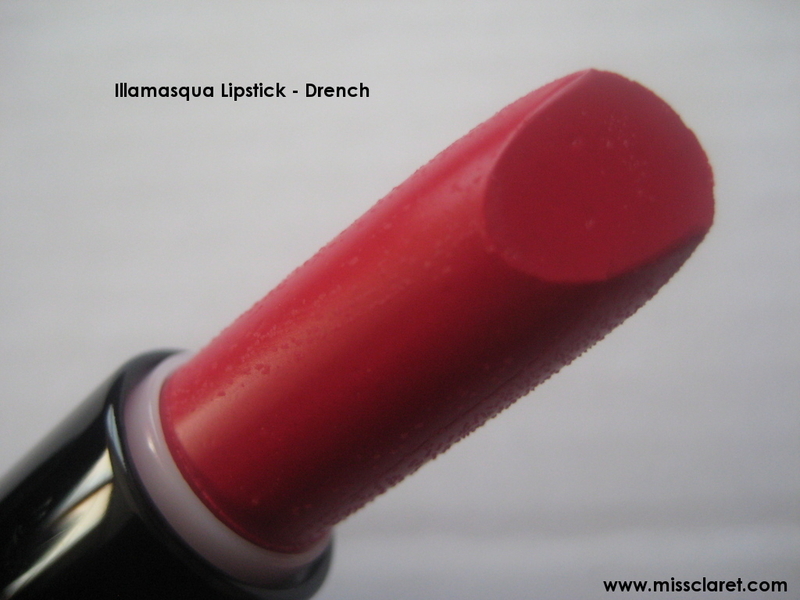 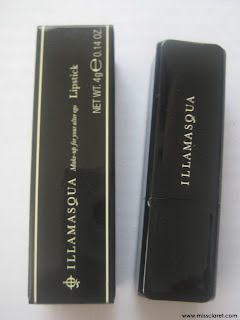 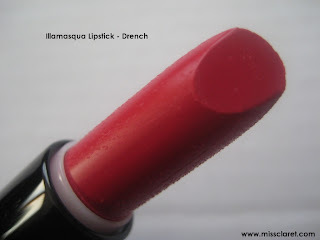 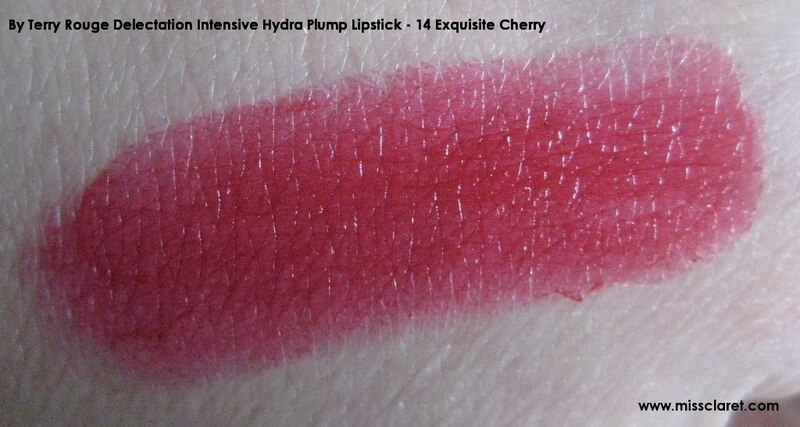 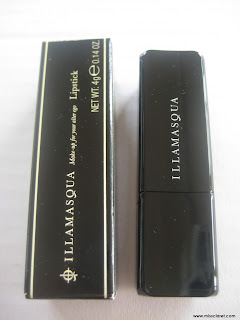 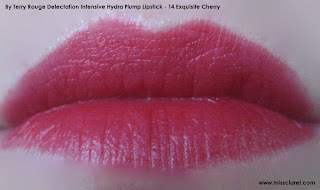 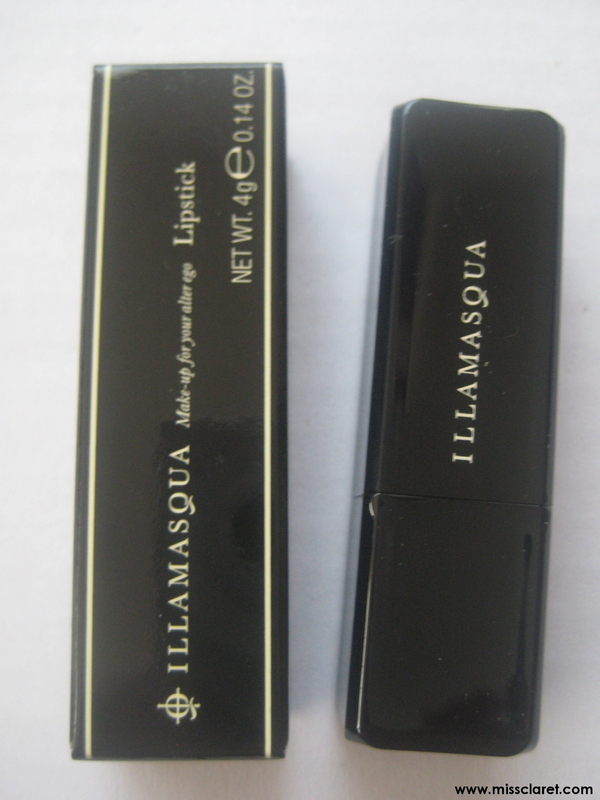 Illamasqua's Drench is a pink berry red, matte in consistency. More pink than I usually wear but stunning nonetheless. 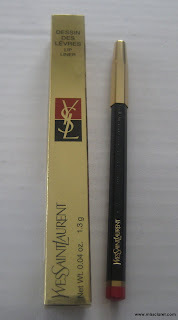 Bargain of the century....Yves Saint Laurent Lip Liner in Rouge Rouge (number 10) at Helsinki airport for 6 Euro! A bright universal red - very pleased with my find! 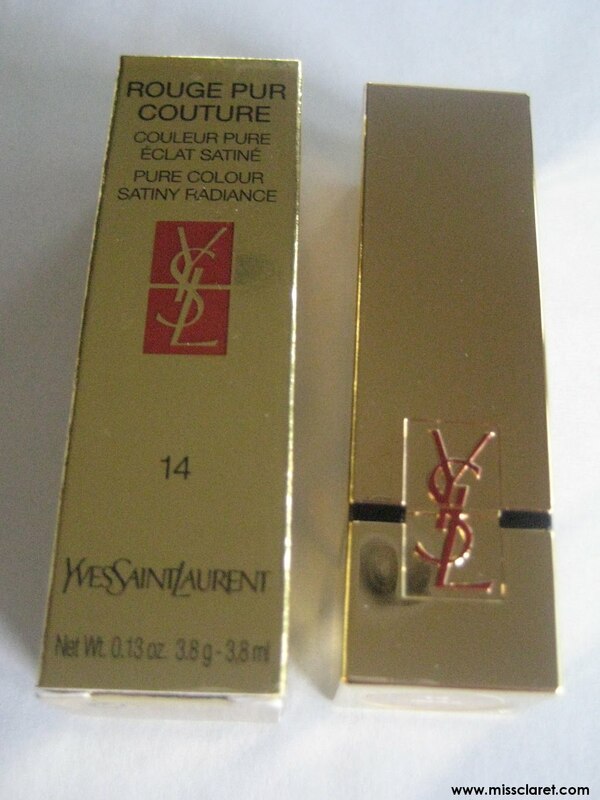 My parents just got back from Paris and bought me a pair of amazing Francis Klein sunglasses. 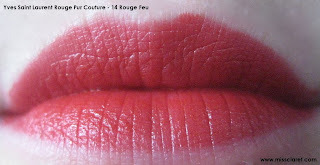 I just can't get enough of this designer's hand made shades. 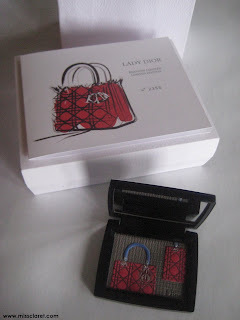 They are beautifully crafted, unique and comfortable to wear. 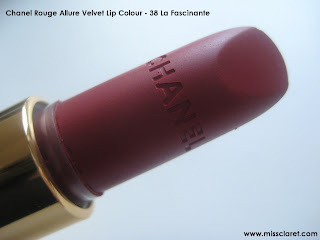 Totally in love! 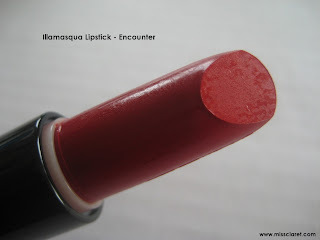 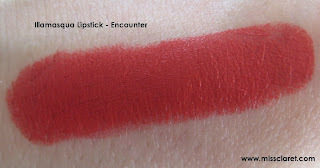 Illamasqua's Encounter is a stunning brick red. 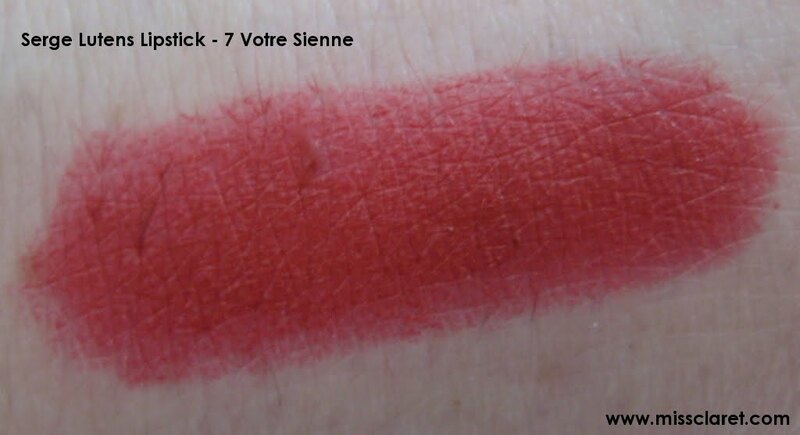 A very classic shade, it is rich in pigment, long lasting and really moisturising. 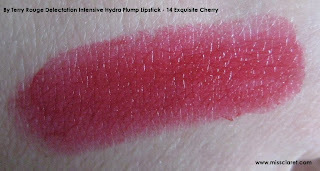 I just can't get enough of this brand's lipsticks! 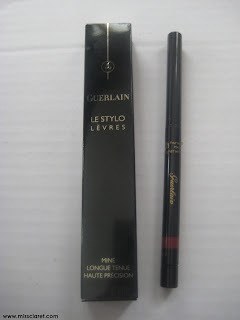 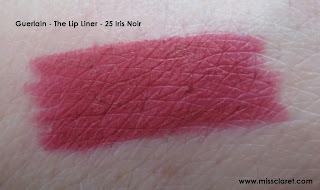 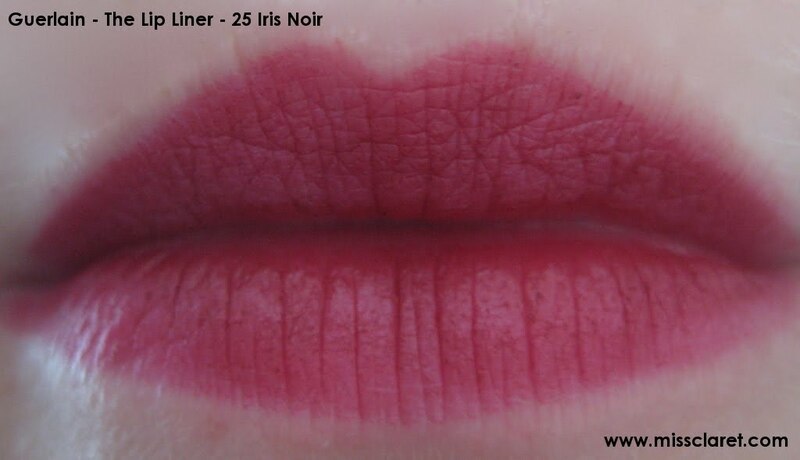 I bought Guerlain's "the lip liner' in 25 Iris Noir to go with one of my Rouge Automatic in 125 Vega. It is a dark berry red - a very classic and elegant shade. I make fashion accessories and wear red lipstick.